Your child is growing at an incredible rate. With all the sudden developments happening from birth on, it’s essential that your child’s health is evaluated regularly. 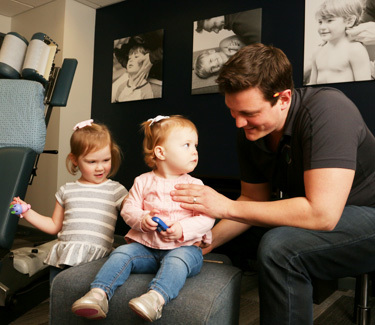 At Family First Chiropractic Wellness Center, our focus is on a healthy spine and nervous system, since the nervous system is the controller of every function in the body. 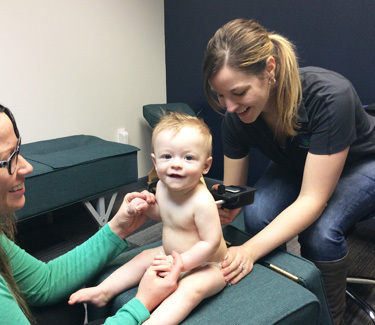 By checking your child’s spine, we can detect any potential problems early in life. When weaddress them immediately, they have a better chance to develop optimally and bounce back quickly. Why Might My Child Have Problems at Such a Young Age? Certain health ailments can be traced all the way back to the birth process, particularly those that required interventions such as a vacuum or forceps. We utilize thermal imaging scans with the CLA Insight™ technology that allows us to precisely locate any interference in their nervous system. We’ll know exactly what needs to be addressed and how to make the proper corrections. Dr. Jack has a patient who began care when she was 8 years old and has autism. When she first started chiropractic care, she wouldn’t answer questions, or after several tries, she might give a one-word answer. Over the course of a year under care, she’s become more integrated into a standard classroom without requiring numerous special teachers to help her. She’s able to stay more engaged and learn among her peers for some of the day. To have that possibility after years of struggling has made a world of difference to the girl and her family. Another of our favorite stories involves a 6-month-old baby who was only sleeping a total of 3-4 hours per day. His mom brought him in for an adjustment. After that single visit, he went home and slept 12 hours. The effects didn’t stop there, either—the baby boy is now on a regular sleep schedule. The evaluation was very thorough and professional. 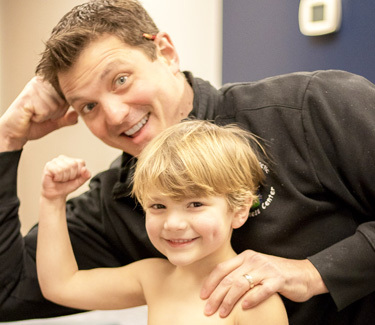 Dr. Jack, Dr. Jenny and Casey all made my son and I feel very comfortable. I’m excited to start care and to see my son start sleeping better! !” Melissa A. Find out more about pediatric care in Dubuque and what we might be able to do for your children by contacting our team today!